Put Time on Your Side & Make College Work for YOU! Have you always wanted to get your degree? Do you find yourself saying you “can’t” make it work for your budget or your schedule? Butler can help you make a smooth transition into college. 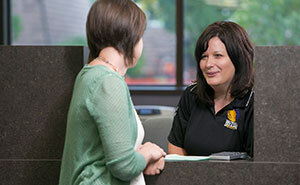 Our faculty and staff take the time to care and assist when needed so you can be successful! Save money by being part of a student body that saves $8 million a year on tuition compared to students attending a four-year public university. Over the years, Butler has remained a great value. Want to pursue a bachelor's degree? Our tuition is 80% less than that of a four-year university. Start your college education here, then transfer. By doing so, you save time and money. Our general education classes are guaranteed to transfer. Some employers offer tuition reimbursement. Ask your employer today if this is an option for you. Of course you can apply for scholarships! Yes, anyone can! Butler gives away $600,000 in scholarships annually. 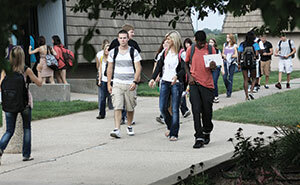 Learn more about Butler's Tuition and Fees. Butler has seven locations to better serve their students: El Dorado, Andover, McConnell AFB, The Boston Rec Center-Wichita, Rose Hill, Marion, Council Grove. Want even more flexibility? Check out Butler Online and take classes virtually everywhere. Because we are anywhere you need us you spend less time driving to school after work, saving you time and money. The majority of our campuses have night classes, making it easy to work around your availability. Butler's average class size is 14 students. With a smaller class size you can get the attention you deserve to build your college foundation. The wide variety of online classes makes it easy to work around your schedule - - Taking tomorrow into your own hands. There are 200 courses offered online. 9 degrees can be completed entirely online. 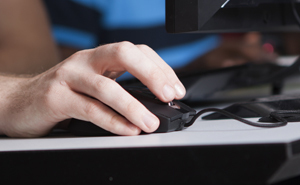 Check out our online degrees! To get started, APPLY to Butler Online. There is no question if you are getting a quality education with us. We pride ourselves on having top-notch instructors. Professors at Butler are required to have master's degrees to teach a general education class. Learn from the best to be the best. Make your better tomorrow start today at Butler Community College!